Laptops are such finicky things that they often mislead you with the symptoms. The indications show up somewhere when the actual problem is elsewhere. However, there is one common issue which almost every laptop user dreads facing. We are talking about none other than the laptop crashes. At VRS Technologies we have listed down the most common causes of laptop crashes. Having said that, we handle all kinds of Laptop repair in Dubai for all makes and models of laptops at affordable rates. Computers can crash due to various reasons. However, finding the right issue behind the crash helps in addressing the laptop repair efficiently. Overheating of the laptops is the most common reason why they crash. Laptops are packed with multiple components in a very small area. The air vents, with which the laptops are provided with, attract a lot of dust and hence they become clogged. The heat is therefore retained within the laptop thereby causing the laptops to crash. Solution: To prevent the dust to build-up in the air vents, the ideal thing to do is to place a filtered cloth over the inhalation vent. However, do not place the same on the exhaust vent as this the place from where the hot air is supposed to flow out. If the cloth hack is not helping, updating the BIOS can address the heat management issues. The BIOS essentially controls the laptop’s hardware. Most of the manufacturers provide the file that updates the BIOS files automatically. As with any other electronic device, the components inside the laptop are also prone to breakage. With sudden jostling or misuse, the components under the hood, especially the hard disk are susceptible to break. Usually, the BIOS alert you when the hard drive is failing. Furthermore, it allows you to back up the data before the complete breakdown. Faulty RAM also might cause laptop crashes. Solution: Free diagnostic programs are available, with the help of which you can scan the system for RAM dysfunctions. When your computer is not protected from anti-virus software and your laptop is infected with the virus, then the laptops might crash due to erratic behavior. Solution: Keeping your anti-virus software up-to-date can prevent laptop crashes. While connecting the new hardware devices like the printers and scanners, they require the device drivers to be installed. When improper, outdated device drivers are installed, they cause the laptops to crash. 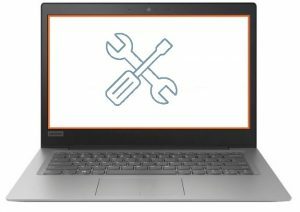 Solution: When the laptop crashes when the specific drivers are being installed, reinstalling the correct drivers often resolve the issue. In case, the crash is random, then disable all the hardware devices and check if the problem still exists. For failed laptops, laptop crashes and freezes, contact VRS Technologies at +971-55-5182748 or visit our website www.vrscomputers.com for more information.